VW Tarok Concept Has Potential But Will We Actually See It? On the ninth day of car gifts, you may have noticed I have been falling behind. I apologize for depriving anyone of a good gift idea ahead of Christmas. I would Like to think information I provided so far has allowed one or two gift-giving individuals to fill the sheltered area of a Christmas tree with a special gift. With most of us focused on the dawn of winter in the northern hemisphere, overnight camping trips may not be on your mind. However, in six months time, summer of 2014 will be in full force. A great deal of automobile fans hate this season when snow and ice threatens our vehicle. We adapt to winter driving by upgrading our vehicle’s equipment for better grip. 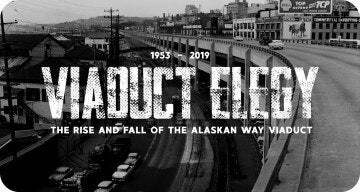 However, we endure winter so we can soon reacquaint ourselves with convertible weather and bare asphalt otherwise available only in video games. Dreams of unleashing a BMW 6 Series Convertible or BMW Z4 on the Nurburgring or Road America race course is a thought that can bring warm heart feelings capable of overriding the coldest day. Ideal for camping in the wilderness or at a road course race weekend, the BMW Motorsport Tent is a fast choice for driven individuals. Designed to house two people, the BMW Motorsport Tent is blue in color with red and white race striping. Spanning 86.6” by 59” by 43.3” in total dimensions, the water resistant tent provides a barrier from wet weather or shielding from the intense hear of a beaming sun. Comprising entirely of polyester, the BMW Motorsport Tent’s fabric material also features a PU coating. Flexible fiberglass poles and a coordinating storage bag are included with the BMW Motorsport Tent. When carrying in the nylon bag, the BMW Motorsport Tent weighs 8.8 pounds. You may ask, “What does a tent have to do with BMW Motorsport?” In fact, speed is a characteristic with both mediums. The most impressive feature of the BMW Motorsport Tent is a fast setup time. The two-person BMW Motorsport Tent promotes an under two minute deployment insuring you have maximum relaxation time. 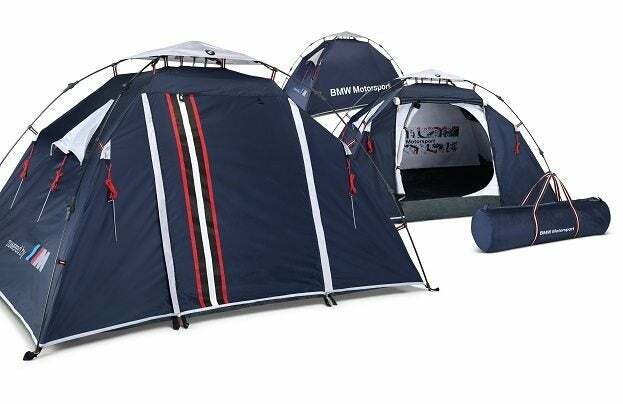 Priced at $169.00 and sold through their BMW Lifestyle Accessories web portal, the BMW Motorsport Tent could be the perfect item for summer-minded car enthusiasts looking for some aspiration to endure through the coldness of winter. No Comments on "Ninth Day of Car Gifts: BMW Motorsport Tent"